COUTURE: COSMOGEN redefines the limits of the traditional brush with this new patent that provides infinite possibilities to design tailor made brushes and imagine new make-up gestures. 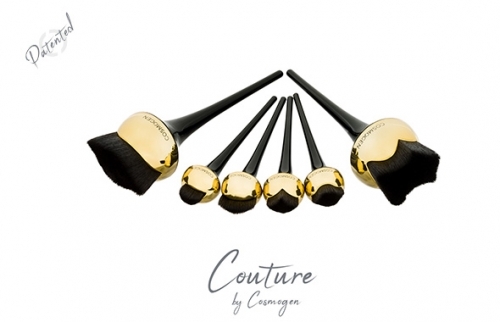 The couture set, in reference to the world of fashion, illustrates this “never seen before” innovation with 6 brushes,. Tufts shapes have been specifically designed to fit perfectly different face areas.